The lit TD/PM Circle is superimposed on the yellow painted marking. 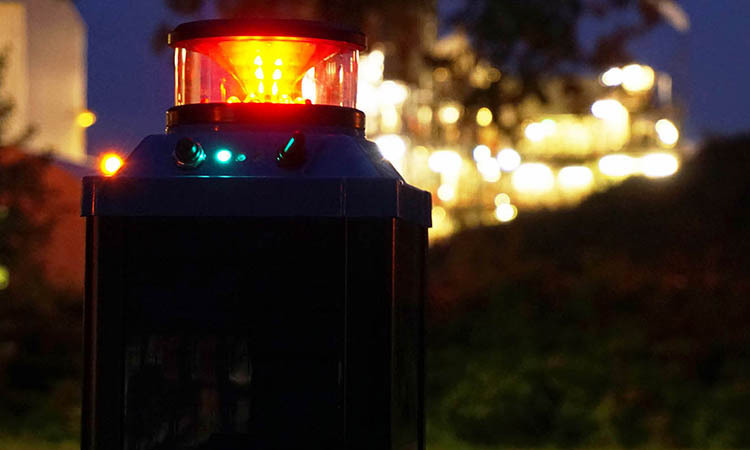 Q-Aviation is the Dutch manufacturer of Helideck and Helipad Lighting Equipment. 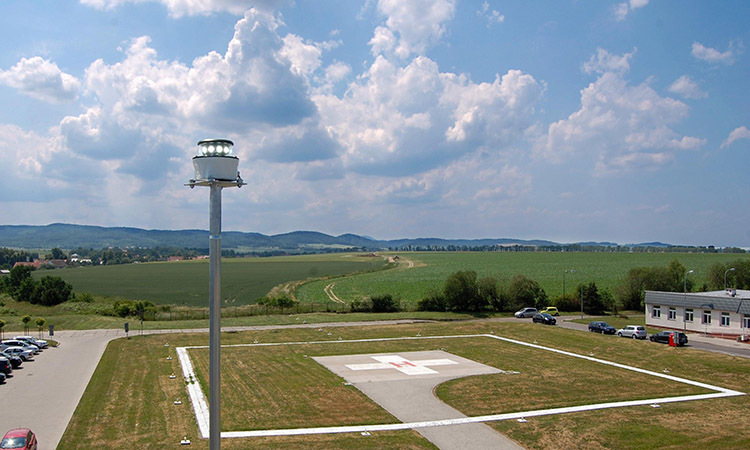 Q aviation specializes in installation and assembly of helideck and helipad lighting equipment..
the perfect Wind Direction indication. Q Aviation has built a worldwide reputation for designing and producing reliable products for hazardous areas in Offshore. Q Aviation has analyzed the specific needs of the offshore oil and gas industry and tailored its products accordingly. These products must be safe and function properly. 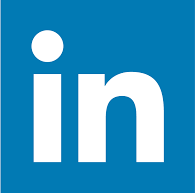 At Q Aviation we understand the customer's requirements and tailor our products accordingly. Thanks to good mutual cooperation with the customer, our leading self-produced products regarding navigation and helideck lights are completely tailored to the needs of the customer, anywhere in the world. 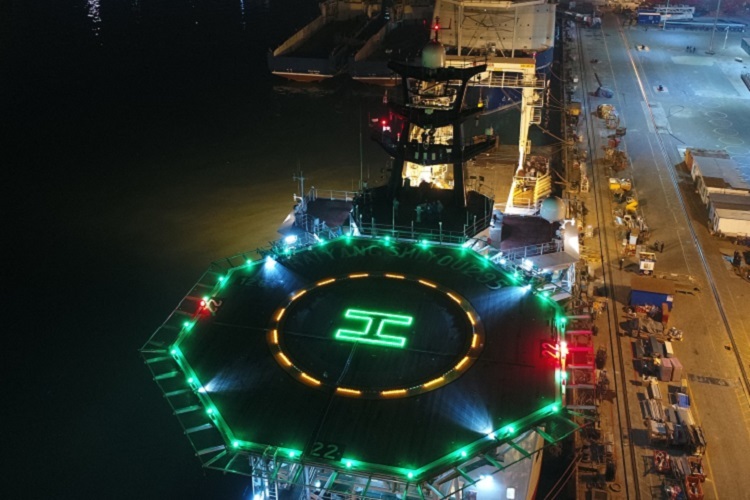 Q Aviation is a young dynamic company and specialized in offshore Helideck Lighting Equipment. 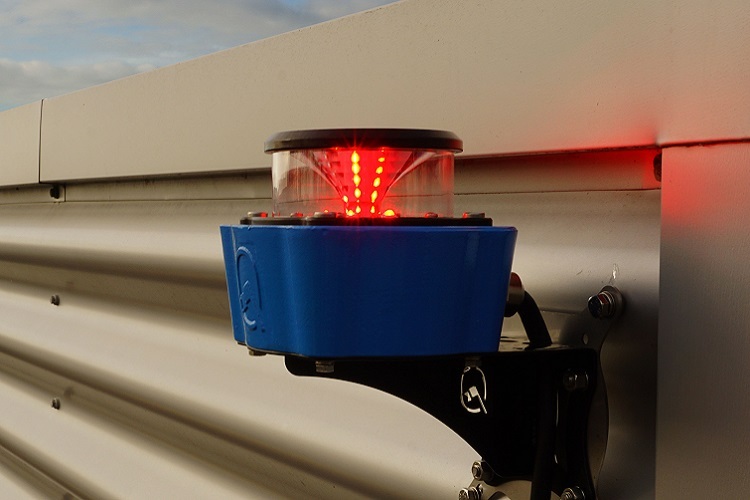 The Q Hapi recently came on the market after the Touchdown / Position Marking (TD / PM) Circle-H lighting, helideck status and perimeter lighting systems. Q-Aviation is the Dutch manufacturer of Helipad and Helideck Lighting Equipment. All products are made of the highest possible material and compliance to all aviation regulations. The Helipad and Helideck products are compliance to ICAO and FAA. The obstruction lamps designed by Q Aviation are used all over the world to mark tall buildings such as skyscrapers and bridges to make them more visible to passing aircrafts. Control systems with advanced interfaces are also available. Q-Aviation offers two types of portable lighting devices. Q-SPAL and Q-BOL. Both lamps are equipped with LED technology. Q-BOL obstacle lighting is a standard model for wireless, mobile aviation light. 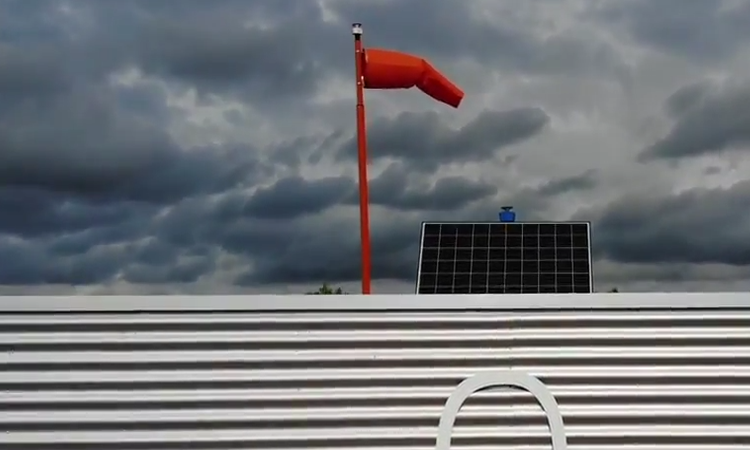 Q-SPAL is equipped with a solar panel. All our products are made of the highest possible material and compliance to all aviation regulations. 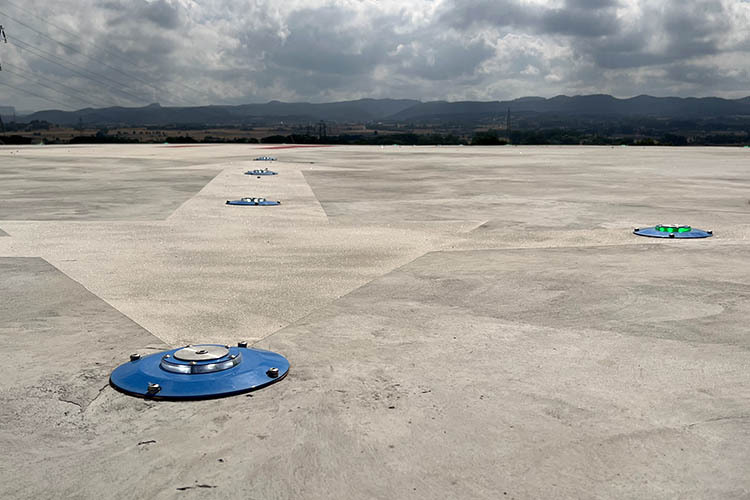 The Helipad and Helideck products are compliance to ICAO and FAA. The Q-Aviation Trailer kit is a unique complete solution for portable airfield lighting and portable heliport lighting. One light to meet all requirements. The kit can be completed with a portable PAPI system. The movie attached is filmed on a portable landing solution in The Netherlands as demonstration of the full Q-Trailer kit. 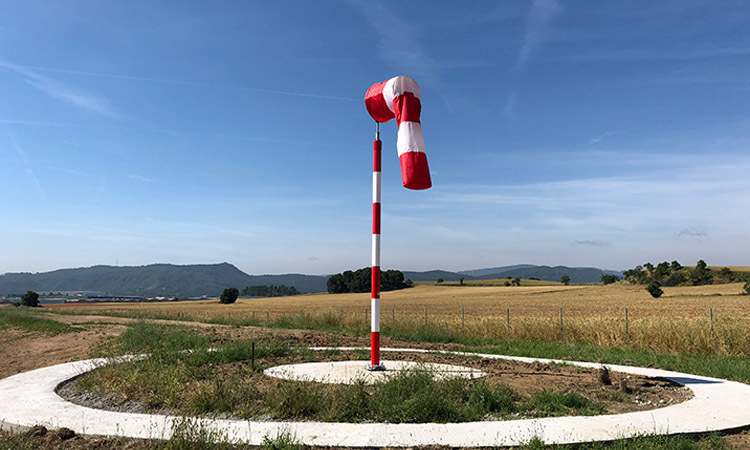 Proud to present our latest high-end windsock assembly. This model is FAA orange powdercoated. 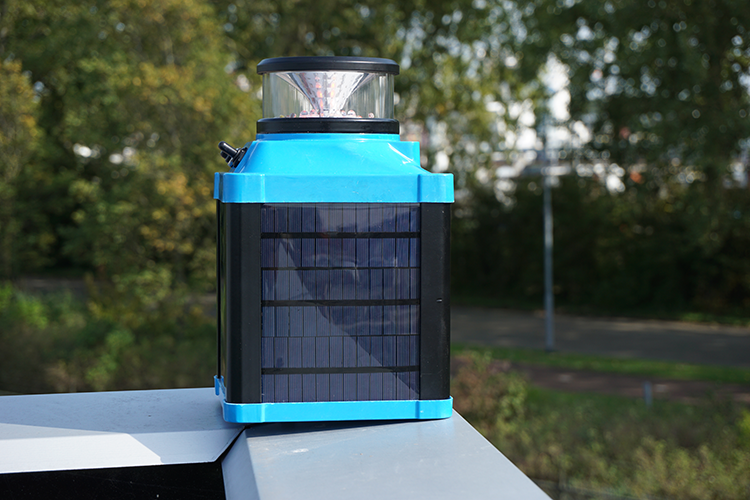 It is both available in a portable and/or solar solution as a rigid solution. The perfect solution for your airport. On August 20th the Q-Aviation team has finished another offshore project in India. 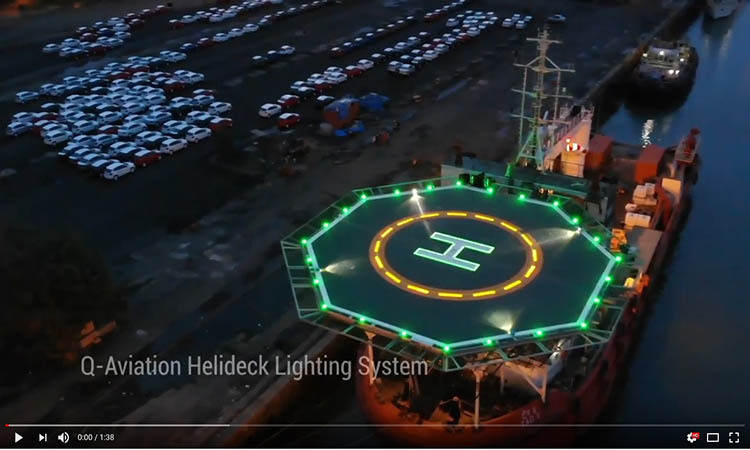 The complete helideck lighting from Q-Aviation has been installed, tested and already in use. 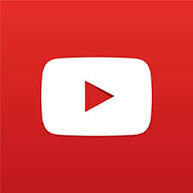 On the video taken by a drone you will find a complete overview of all the Q-Aviation lights such as: Q-Perimeter Light, Q-Floodlight, Q-Status Light, Q-Status Light Repeater, C&H System, HAPI with Stabilization platform, Obstruction Lights and the Wind Direction Indicator. Questions about our product ?